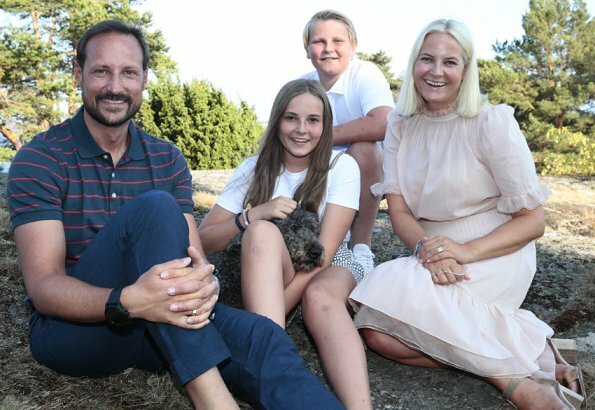 Crown Prince Haakon of Norway celebrates his 45th birthday. Crown Prince Haakon (Haakon Magnus; born 20 July 1973) is the only son and younger child of King Harald V and heir apparent to the throne of Norway. 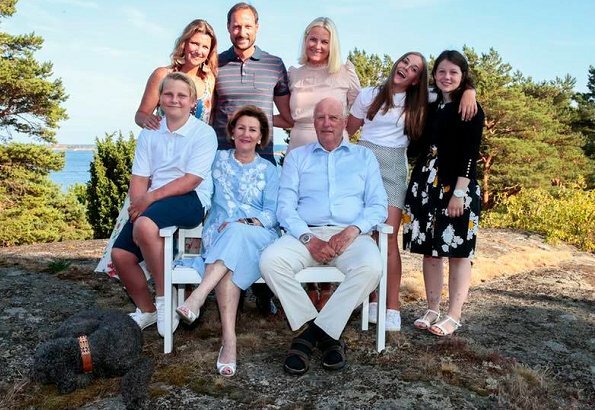 Norwegian Royal Court released new photos on the occasion of that birthday. 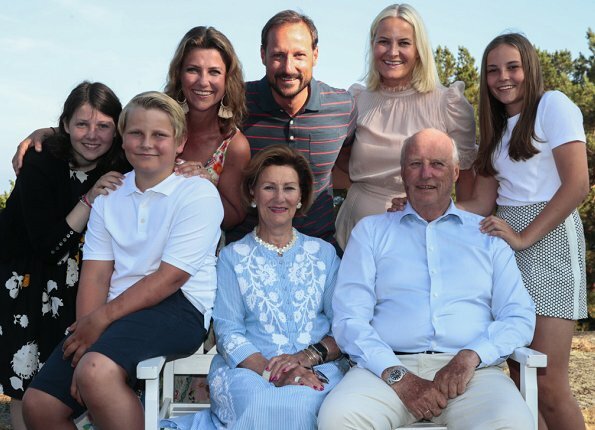 The Crown Prince celebrates his 45th birthday with his family, while he poses beside King Harald V, Queen Sonja, Crown Princess Mette-Marit, Princess Ingrid Alexandra, Prince Sverre Magnus, Princess Martha Louise and Maud Angelica Behn, on July 2018 in Makeroy (Magero) in Tjome, Norway. Happy 45th Birthday to CP Haakon, well he is getting up there is't he. Very lovely photos of the RF. Pss Ingrid is MM in early years very pretty girl. Ingrid Alexandra is a really beautiful girl and Sverre Magnus looks a lot like his granddad, especially on the second pic. Picture # 3 5 6 Pss Ingrid Alexandra looks wonderful, she is all her mother.The whole Family looks good and rested. M L Daughter is grown a lot too. Time flies when you have fun. A Happy 45th Birthday to Haakon and many more. They're all dressed appropriately and comfortably for lovely photos on a sunny Norwegian day. That second photo is a hoot, they seem to be a happy family. All the best to Crown Prince Haakon on his birthday - 45 already, yikes. Ingrid Alexandra is a beautiful girl. 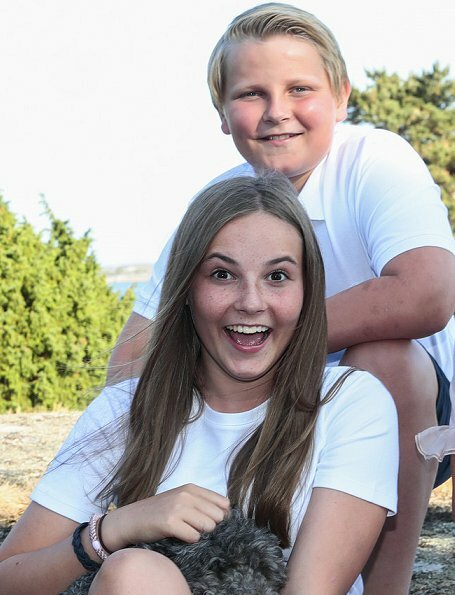 What lovely family photos. Ingrid Alexandra is turning into a very pretty young lady - I think she looks like her father. Peace and love also to you and your loved ones, Yumiko. You must be a lovely person, to judge for your comments, always positive, friendly and sweet. Happy birthday to Crown Prince Haakon of Norway. He is such a handsome and charming prince. Very lovely photos of the RF. They look like a very happy family. Lovely summer and birthday pics …… taken by a family member, I think. 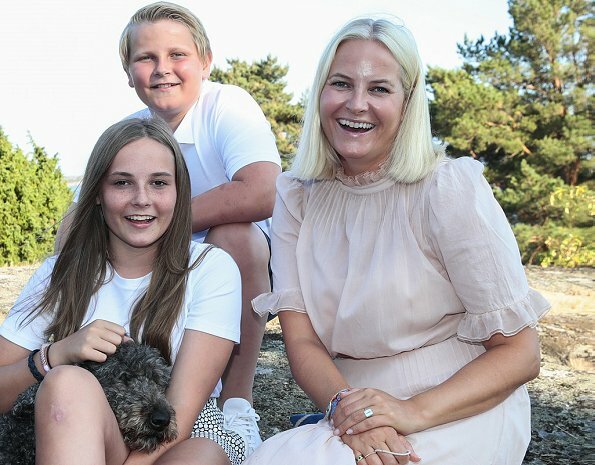 Has not Mette-Marit another son? Where is he on the photos? Haakon is not his biological father but his psychological father, isn't he? Is that other son not part of the family, how must he feel when seeing these photos? Once he reached his majority he said he no longer wished to be a public personality - I believe MM asked the media to respect his wishes. So it's his choice. I believe he is living and working in London. Oh, I did not know that! Thank you for this information!